This strong support for clean energy should come as no surprise – robust renewable energy policies can support job growth, reduce pollution, and attract clean energy businesses to the state, which is why groups representing working people, the environment, and the transition to a clean energy economy showed up “en masse” to demonstrate support. At the same time, these groups are having conversations amongst each other and with the legislature about exactly what the transition to an electricity grid that runs on 50 percent clean resources will look like. Why? Because the details matter. From EDF’s perspective, one of the most central questions about going from a 33 percent to 50 percent RPS goal is how to integrate these renewables into our existing energy system – transitioning to a system that is largely based on clean energy – without depending on backup fossil fuels. 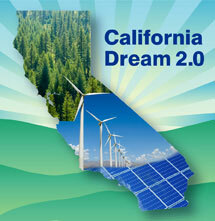 The existing RPS has been incredibly successful at getting a wealth of solar energy up and running in California. However, this huge resource of clean, renewable energy is available in the middle of the day, when the sun shines its brightest. So, this abundant supply of the cleanest, cheapest energy ironically presents its own challenge – namely, how to get people to use this extra energy during the day, instead of the morning and early afternoon when electricity demand is highest and solar energy is not as abundant. We don’t want grid operators to rely on peaker plants (read: dirty energy) during these periods of steep demand when solar is offline. California’s renewable resources are currently being backed up by fossil fuels, which dampen the air quality and climate benefits of clean energy. And the state lacks a concrete plan to move forward on “smart integration.” Here’s the most discouraging part: California has managed to make solar electricity so abundant, sometimes it has to be shut off or “curtailed” when it isn’t used during the day. At the same time, grid operators are left having to meet the steep “ramping up” in demand later in the day, which happens with increasing frequency starting in spring, when temperatures begin rising. Demand response— Demand response (DR) uses a combination of price signals and energy automation technology to reduce or increase energy use at key times. Customers who use less electricity during times of peak energy demand are rewarded (typically with a credit on their energy bill). DR relies on people, not power plants, to meet electricity demand. Time-of-use rates— Time-of-Use (TOU) electricity pricing is a type of DR that prices electricity based on the time of day you use it. This type of rate design gives Californians a valuable opportunity to take control of their energy use and electricity bills, by financially rewarding them for using clean, solar energy during the daytime and clean wind at night. Energy efficiency— This conservation tool is the low-hanging fruit of the energy market transformation. That’s because the cheapest, cleanest, most reliable electricity is the kind we don’t use, reducing the overall need for generation. It can be accelerated by creating pathways for private financing, like the Investor Confidence Project. Electric vehicles—Electric vehicles are like mobile batteries that can be used to store renewable energy. For example, cars charging at work during the day – when solar is most abundant – can gulp down solar energy to expend it on the drive home. Ultimately, we want to see a healthy and competitive energy market that provides greater access to clean, renewable energy and energy management technologies for all customers – including communities which are already bearing the greatest burden from climate change. And, in order to ensure all people benefit from the clean energy revolution underway, legislators and regulators need to keep the reduction of greenhouse gas emissions front and center when deciding on what technologies will be used for renewable integration. Spring is a time of birth and rebirth; the legislature is no exception. Right now, our state leaders are creating the next generation of renewable energy policy – one that will take us to a 50 percent renewables-based grid by 2030. We look forward to seeing these policies take root and grow over the next few months, but we need to see more focus on how best to integrate renewables using smart technologies and strategies – not fossil fuels. 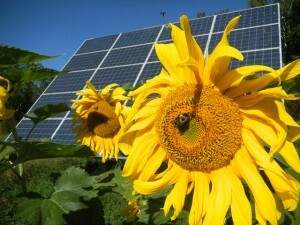 Now is the time for the clean energy future we want to see to blossom. This entry was posted in Clean Energy, Demand Response, Electricity Pricing, Energy Efficiency. Bookmark the permalink. Both comments and trackbacks are currently closed.